Every year the LPI gather together people from the elearning industry to recreate iconic scenes from the movies, music and TV. These images are used to create a fun A3 wall calendar for your home and office. D a registered UK charity that changes young lives through taking children with a serious illness or disability on the holiday of a lifetime to Orlando, Florida. If you purchase the Calendar you'll see LAS' very own Rob and Tess as you've never seen them before. We are very pleased to announce that Rob Hubbard will be speaking at Learning Tech 2019. Rob's session Digital learning innovation: Reimagining induction is on 13th Feb. This month the LPI announced the 15 Top Performing Learning Technology Providers that have been listed in their eBook. LAS are very pleased to have been named as one of those Top 15. These organisations are shown to have a clear roadmap by which to build their capability and adapt their strategy for continual success. They demonstrate a strong customer value proposition and have a corporate culture that instils confidence throughout sales and marketing, to delivery and after-sales support. They are passionate and committed to developing their staff, their products, their market reach, and their performance. Rob Hubbard has been asked to Chair a session at the Learning Technologies Summer Forum again this year which he is greatly looking forward to. Here at LAS we are working really hard to unsure we are ready for GDPR come the end of this month. Our clients data has always been very important to us but you may receive double opt in emails from us to confirm we can stay in touch with you going forward. Emotive Transmedia Learning - LAS partnered with a large pharma company to create a next generation learning blend to support a new team in understanding and selling an innovative new drug. The LAS Team have been hard at work refreshing the website. Wanting to achieve a new look and feel, that reflects the bespoke nature of our work. We have been working with Jack Featherstone a talented Graphic Designer from Warwickshire to produce hand drawn/sketched artwork for the website. Everyone is very excited to see the new look go live today and see the response from our customers. Rob will be speaking on the exhibition floor as part of the 'Paralysed by choice : How to identify the right digital learning approach' Seminar on Thursday 1st February at 13.15. He will also be available on the eNyota Stand after the session for discussions. Phrases like user experience, user centred design and user needs are becoming increasingly prominent in the conversations and literature around learning. There is a growing recognition that technology and content are only two elements of a genuine digital transformation. The real change is built on proper user understanding. Experiences that learners love are most often defined by products and tools used outside of the working environment. In this session, Myles will explore how these products are created, how these ideas and practices can be introduced to the corporate learning world and how teams can organise to make them work. Organising around user needs - skills and roles. Too many L&D practitioners are still order takers and content developers and this situation foretells the end of L&D, just as being able to build your own documents foretold the end of many administrative jobs. Our organisations are trying to adapt to the complexities and chaos of radical global changes (such as accelerating technological change and globalisation). There is great need to help people and organisations respond to these changes through training and performance interventions, but typical approaches fall short. 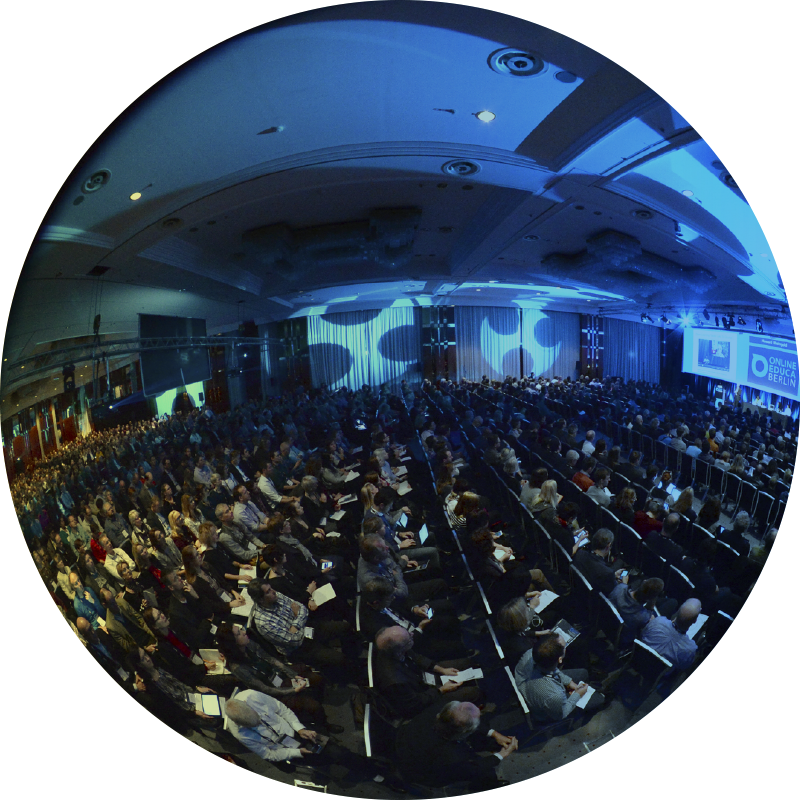 Rob starts 2018 with a Keynote speaker slot and a visit to France for the Learning Technologies Conference. The conference is set to see more than 4000 visitors attend the event, gaining access to 50 Free seminars and 130 exhibitors, providing the latest learning technology and innovations at the first major European event focusing on Learning and Development. Promising to be a perfect occasion to listen and interact with the best speakers from learning & development across the world. LAS celebrate after winning gold for 'Best use of simulations or virtual environments for learning’ They partnered with Unicorn Training Group and UCL (University College London), to design and build a complex and highly immersive simulation which would allow groups of learners from around the world to collaborate and work in teams over different time zones. This was ICARUS – a sophisticated, multi- layered, immersive and above all, realistic business simulation. The judges felt that the choice of an airport as the focus was inspired because of the wide range of businesses and services and the complexities they introduce, that contribute to its success or otherwise. Particularly impressive was the ease with which the simulation can be customised and updated with real world events as they happen and how the impact of what may appear as an isolated incident can affect different parts of the business in very different ways. Focusing on demonstrable learner engagement and tangible outcomes required to secure the future of the programme, this project has been an unprecedented success. It boasts a 40% rise in uptake, and 95% student pass rate! Managing Director, Rob Hubbard, says: "This was one of the most complex projects we have undertaken. It simply wouldn't have been possible without the way the UCL, Unicorn and LAS teams collaborated and pulled together to support each other. Tough but deeply satisfying - a true team effort." The key to successful change is people. In uncertain times, learning takes on new significance in terms of helping people to adapt to new roles or new ways of working and giving them the skills they need to be successful. Getting learning right at these times can give organisations and institutions an enormous competitive advantage, enabling them to be agile and adapt to new situations quickly. So what does ‘right’ look like? This interactive session will cover how to identify threats, problems or opportunities and how to design solutions that will enable a rapid and effective response. You will be expected to be active and will be encouraged to share experiences and help your colleagues with potential solutions through a series of activities. In 2016, the University of London (UoL) launched its international MSc in Professional Accountancy. An initiative between UoL, UCL and ACCA (the world’s largest accountancy professional body), this programme – the first of its kind – is unique in its virtual availability to students worldwide and the utilising of a complex and highly immersive simulation. Unicorn and LAS were approached to design and build this simulation. Focusing on demonstrable learner engagement and tangible outcomes required to secure the future of the programme, this project has been an unprecedented success, boasting a 40% uplift on uptake, and 95% student pass rate. Rob Hubbard is named in the Premier Platinum section of the 2017Corporate eLearning Movers and Shakers List . The list represents the views of a number of key people from the industry. People named on the list are deemed to be influential within the corporate eLearning sector within their country, continent, region and the world. Rob said 'I'm thrilled to be named in the top 50 most influential digital learning practitioners and thought leaders in the world and to be alongside people who I have enormous respect for". Do you dream of being involved in interesting and exciting projects for some of the world's best known brands? Would you like to put your creativity to the test? We're looking for exceptional UX designers and technical project managers to join our happy team. Interested? 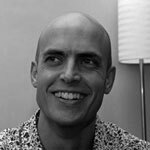 Rob Hubbard will be sharing his wisdom on memory and microlearning and will also be chairing two sessions at the Learning Technologies conference in London on 1 -2 February 2017. Gary Spring, Head of Design at Barclays UK will talk about 'Moving to UX Design for Learning' and Martin Sinclair, programme Lead at Health Education England, will discuss 'Growing your content design'. Consultant Myles Runham talks about 'What does the web tell us about good learning tools and expeirences' and Laggi Diamadi, Head of Learning and Development at Fosters & Partners, shares his experience of 'The power of simplicity in learning. There is an elephant in the room. His name is Hermann. Hermann has known for over 100 years that humans rapidly forget what they try to learn, which makes traditional, preparatory training (in-person or online) largely a waste of time. This interactive session will bust some major myths of memory before identifying proven approaches that do work. It will also investigate how moving learning closer to the point of need will vastly increase the impact it has on learners. The LAS team will be jetting out to Berlin his week to OEB 2016 and Rob will be chairing a session on 'Supporting the Flexible Worker' with Clark Quinn, Geraldine Voost and Snorre Rubin. As alternative employment arrangements rise and work spaces become ever more global and flexible, how can L&D align work and learning, engage the flexible worker and offer support to the needs and wellbeing of today’s workforce wherever they are? Join us at 2.30pm on Thursday 1 December for a dialogue on how we can adapt what we do, so that our workforces can do even better what they do. Rob says 'It great to be working with such high calibre colleagues in this session. As a company, we're about as flexible as it's possible to get. This flexible philosophy is something close to our hearts and I'm going to really enjoy chairing a session on it'. Microlearning is everywhere at the moment. In his session at Learning Live on 19 October, Rob will discuss what microlearning is and what it isn't, the key benefits and when to use it. He'll also look at how to design effective microlearning assets and what production tools to consider. Learning Live takes place as part of the World of Learning Exhibition at the NEC, Birmingham. It's sponsored by the eLearning Network and is free of charge. There are some great speakers this year so it's well worth a visit. Improve your learning design skills on us with our free Learning eXperience Design course. Come and learn from our years of experience. LXD is a three week part-time online course hosted on our goalgetter platform and tutored by Rob Hubbard, one of the UK's premier learning designers. You will join students from all around the globe working on real life projects. On the course you will learn how to scope the project and how to generate and communicate creative solutions. We'll give you the tools and support that you need to become an excellent designer. Rob Hubbard will be chairing a session on 'design thinking for learning' at the Learning Technologies Summer Forum in London on Tuesday 14 June at 15:00. He will share the stage with Sally Spinks from top design consultancy, IDEO. In this interactive session, they will look at how design thinking can transform the way we approach workplace L&D. The key, says Sally is to start not with a solution, or even with brainstorming, but with observational study – taking note of how people work in practice, not what they say they do in theory. We are looking for a kick-@ss graphic / UX designer to join our award winning LAS team. The work will be diverse and challenging, for some of the biggest brands in the world. You need experience of designing for web and/or games and/or elearning and/or apps and should be skilled in interpreting design briefs and branding guidelines to come up with killer designs. We would prefer you to be in the same timezone as the UK (more or less) and you will work flexibly from home as part of our expanding team. We will be at the eLearning Network's 'What does Excellence Look Like?' event on 28 April at University of Birmingham, UK, talking about the Vodafone project that won Gold for 'Best Learning Game' at the eLearning Awards 2015. 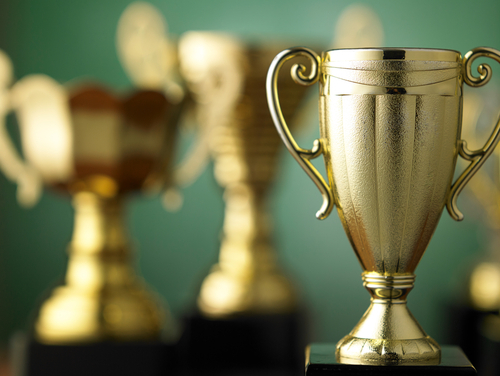 The Learning Technologies Awards – formerly the E-Learning Awards represent the best the industry has to offer. At this event, you can see for yourself what it takes to be best in class. Gold and silver award winners will be there to showcase their work, tell their backstories and pass on their experiences for you to apply in your workplace. The event is free to members (membership is £29 well spent). Ever wanted to be better at designing learning interventions? Perhaps you're new to it and don't know where to start? Come and learn from our years of experience. We pride ourselves on our design skills and processes. They've won us a lot of awards after all. Following Rob Hubbard’s 2015 Outstanding Contribution Award at the eLearning Awards, Rob has made it on to the influential Annual Top 10 eLearning Movers and Shakers List for the UK for the first time. the World, North America, Europe, the UK and Asia-Pacific - contain the names of 39 people. Of these, 26 are men and 13 are women. These ‘movers and shakers’ lists are compiled from a corporate online learning perspective, on the basis of a person’s perceived current influence on the online learning industry – as a practitioner, commentator, facilitator and/or thought leader. ‘This list contains many people that I greatly admire and so I’m thrilled to have made it on there for 2016. I am a firm believer in sharing ideas and best practice throughout the elearning industry. 2016 promises to be an exciting year’. Rob will be speaking at the Learning Technologies Conference in London on 4 February. Don't miss it! LAS Managing Director, Rob Hubbard, has been given the top honour of the Outstanding Contribution Award at this year’s prestigious eLearning Awards. The Award was given in recognition of all Rob has done to promote the elearning industry. Through his work with the eLearning Network and through the free training he has provided to hundreds of elearning professionals worldwide, he has worked tirelessly to raise standards and encourage greater creativity in digital learning. The Awards Ceremony took place in London on 25th November. Rob Hubbard started life as an Engineer, graduating from the University of Warwick with a degree in Engineering Design and Appropriate Technology. After brief forays into CAD and website design he landed his first elearning role as Head of Online Learning for a training consultancy, sparking a passion for digital learning which has stayed with him ever since. After setting up his own company, LearningAge Solutions, now LAS, in 2005, Rob has grown in stature within the industry. He has provided expertise and ideas, raised standards, taken on voluntary roles and offered free support and training to others. He is now seen as one of the leading lights in elearning and is often to be found speaking or chairing industry conferences or judging awards. Never afraid to question norms and take creativity to another level, he relishes being at the fore of learning technologies thinking. ‘Wow, I was overwhelmed to be nominated for this award and I’m absolutely blown away to have won! It is such an honour to have this recognition from industry peers and it really means a lot to me. I thoroughly enjoy promoting interesting and exciting elearning and working with all the students on our free Learning eXperience Design course. My time with the eLearning Network was also very rewarding. They are a fantastic group of people who work very hard in support of the elearning industry’. 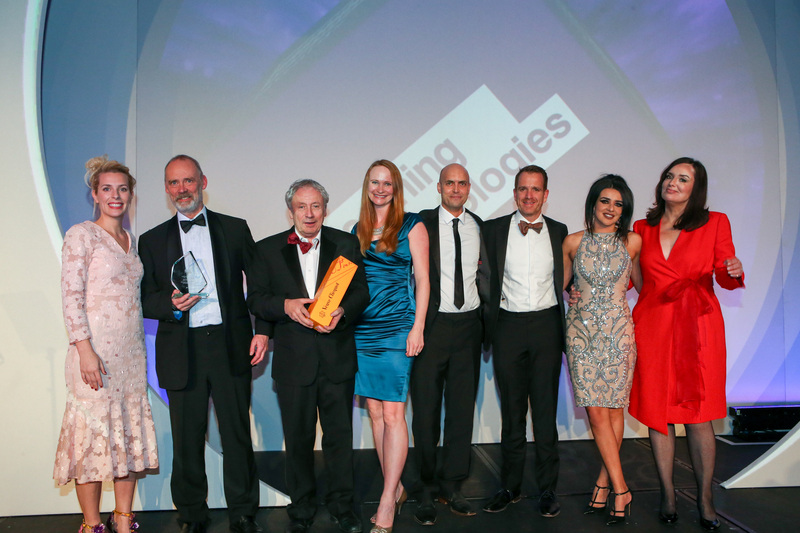 LAS has scooped three awards at the eLearning Awards, including this year's Outstanding Contribution Award for Managing Director, Rob Hubbard. The Awards Ceremony took place in London on 25th November. LAS won gold for ‘Best Learning Game’. They partnered with Marketing Consultancy, Oxford SM, to create an engaging learning game for Vodafone, which has added energy and realism to their face-to-face marketing workshop on maximising the use of customer data. Used in stages throughout the workshop, the game reinforces learning points, encourages debate and allows participants to try decisions out, resulting in a deeper understanding of the importance of data and how it is used. The game is a fantastic example of how learning games don’t need to be expensive and hand coded to be effective. LAS also won bronze in the category of ‘Best Use of Social and Collaborative Learning Technologies’ Sector’ for a project with one of the world’s largest energy companies. 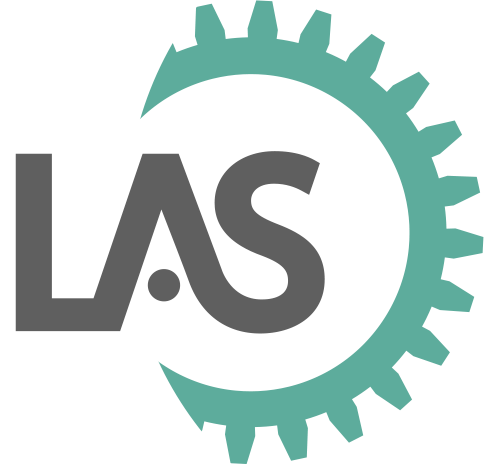 LAS helped them to roll out a methodology for organisation design and provide online opportunities for their people to collaborate and share knowledge and best practice. The project has resulted in significant cost savings for the organisation, has boosted their internal capabilities and helped them to develop and connect their staff. It is now in use over more than 50% of the organisation. Managing Director, Rob Hubbard, says: ‘We are delighted to have, once again, beaten off stiff competition from the biggest players in the international elearning industry to win these awards, particularly in the categories of social and collaborative learning and learning games, which are at the cutting edge of digital learning. As a company, we are celebrating our 10th birthday this year. We have always prided ourselves on being at the forefront of new thinking in elearning. This recognition from the eLearning Awards, our industry’s most prestigious awards, reinforces our position as innovators, as we look to the next 10 years and beyond. coveted Ufi Charitable Trust Vocational Learning Tech grants. Selected from over 180 applications, the Cuppa project, so called because Cuppa resources, or ‘sips’, are bite-sized – a skills boost in the time it takes to drink a cup of tea – focusses on supporting staff in their everyday care work. Sips are rooted in care activities on topics such as how to talk to relatives, write handover notes, and understand a care plan. training costs in a sector where budgets are tight. This project aims to have a huge positive impact on a hard-to-reach sector, improving the skills of care workers and also the lives of the people who they support. 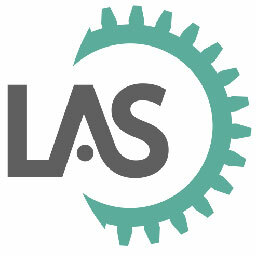 Award winning elearning company LearningAge Solutions is celebrating its first decade in business with a new image and a new name - LAS. big-name clients under our belts. Our reputation is growing and we’re delighted this year to be celebrating 10 years in business. and effective digital learning. As the pace of technological change is so rapid, this industry is certainly never dull. We’re learning and adapting our methods all the time in order to maximise the benefits of learning technologies for our clients. Rob Hubbard will be speaking at OEB, the global cross-centre conference on technology supported learning and training in Berlin in December. OEB is known for pushing boundaries, challenging preconceptions, catalysing new ideas and fostering exchange between the corporate, education and public service sectors. Rob will be running a session on how technologies can capture and enhance collective intelligence across organisations. The conference takes place on 2-4 December. in recognition of all he has done to promote the elearning industry. Rob was nominated because he has given hundreds of hours of his time, energy and enthusiasm to voluntary work within the sector. Through his work with the eLN and through the free training he has provided to hundreds of elearning professionals worldwide, he has worked tirelessly to raise standards and encourage greater creativity in digital learning. Good luck Rob! Here at LAS HQ we are celebrating being short-listed for two eLearning Awards; Best use of social and collaborative learning technologies with BP and Best Learning Game with OxfordSM and VodafoneUK. LAS partnered with BP to create online learning, resources and social media to support their new organisation design (OD) methodology. Technology was used to create a platform for a community of practice, enabling enterprise-wide collaboration and sharing of best practice to deliver better business outcomes. This has also enabled them to develop internal capability and make the OD process consistent across the organisation. You can read more about it in our ODV2 case study. The Vodafone CVM (Customer Value Management) Data Game is a fantastic example of how learning games don’t need to be high budget and hand coded with long timescales to be effective. LAS designed this engaging game, in partnership with OxfordSM and Vodafone, to be used in a blend within a F2F marketing workshop. The game has added energy and realism to the workshop, which is on maximising the use of customer data to drive brand value and improve customer experience. Used in stages throughout the workshop, the game reinforces learning points, encourages debate and allows participants to try decisions out, resulting in a deeper understanding of the importance of data and how it is used. Learning Design: What can we learn from creativity in the arts? How Interactive Should Your Elearning be?